Keystone's a wonderful spot! The best I can think of for you near your area. Its best done a best slack before flood into a mild flood (preferably 1.5 knot max flood, or 1.2 knots or less for good bottom time at the end of the jetty, with some experience/skills in the current). Unfortunately, this time of year that mostly happens late at night. The first half of the year is the best to get a lot of dives in there, wind barring. That being said, there may be a few good days this year. 10/21-23 are likely good afternoon splashes for a milder ride. Be sure you get out of the water before it gets dark. It gets super dark there -- also you'd need a permit for night diving. And definitely check the wind forecast! 8/30 and 8/31 may also be doable -- but those are early weekdays! What a coincidence. I am glad you had a good dive at Keystone, even if it was not the most favorable tide/ current day for it. Can you find yourself and your buddy in the picture ? 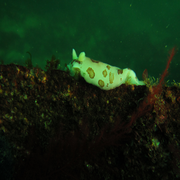 I did get one picture of the cryptic nudibranch, maybe on your next dive, look for the eggs. Thanks for the reply. Unfortunately I didn't see until after we dove keystone. We survived and it was an incredible dive. Actually going to do it again today at 5. Huge lingcod and lots of clown dorids. Even snorkeled for a while at the end when our air was low. Hm.... I notice that Keystone isn't listed in the Dive Site Listings forum. Yikes! Someone needs to fix that. Jan??? Pretty gnarly. You could do slack around 5:48 this evening, but I'd give it a pass otherwise. I live in Bellingham, Washington and want to find some good dives up here. 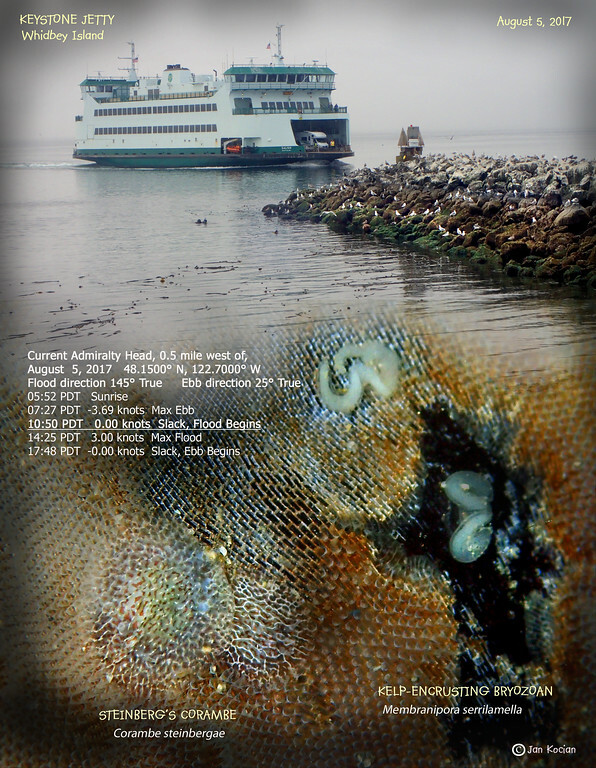 I've mostly been diving around Seattle (favorite place to dive is either Alki or Salt Creek near Port Angeles). I hope to dive this weekend at Keystone Jetty and Rosario. Do you have any tips for those two sites? Or any suggestions for other dives around this area?